Life is a beach | Live Healthy S.C.
With beachgoing season quickly approaching, wouldn’t it be great if someone would develop an online app that would show you the best places to park to access your favorite public beach? Or maybe show you the closest public restrooms or showers? Maybe you need to find a way to reach the beach with wheelchair access. Actually, such an app already exists — and it’s ready to help you better enjoy your trip to South Carolina’s beautiful coastline. This useful app from DHEC’s Division of Ocean & Coastal Resource Management can help you find the right amenities needed to help you plan your next fun-in-the-sun trip. Let’s say you want to go to Isle of Palms. Just choose the beach from the list, and then search for the requested conveniences. A map will appear showing you the amenity you need and where to find it. It also helps you navigate from your current location to the best access point. Whether it’s public transit, seasonal lifeguards, trash receptacles or a beach park for an oceanside picnic, this app enables you to find the right spot. The app is readily available on your desktop. But it’s even more helpful from your smartphone, so be sure to bookmark it or add the icon to your home screen for your next trip to the beach. 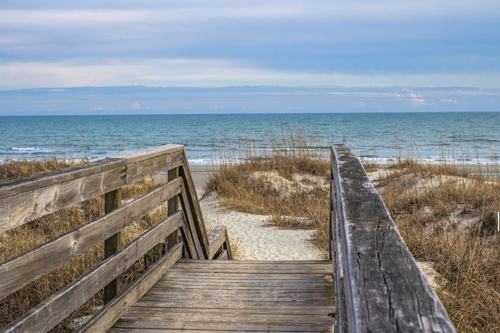 This entry was posted in Ocean and Coastal Resource Management and tagged beach access, Ocean & Coastal Resource Management on April 29, 2015 by SC DHEC.